The sixth installment of the legendary series of turn-based strategy games that allow us to control a selected civilization throughout several thousand years of its history. It was traditionally developed by Firaxis Games led by Sid Meier, the franchise’s creator, himself. 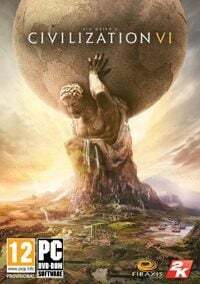 Sid Meier’s Civilization VI for PC and iOS is the sixth installment of the legendary strategy game series that lets us build and develop an empire throughout several thousand years of human history. It was developed by Firaxis Games, the creators of two expansions for Sid Meier’s Civilization V entitled Gods & Kings and Brave New World. Once again, Sid Meier assumed the position of the spiritual and artistic guide of the production, but was not directly involved in the development process. The fifth installment of the series was a great reset of the franchise which simplified many elements that were present in its predecessors. In case of the sixth one, the creators didn’t want to make the same mistake again. All the upgrades of Civilization V’ expansions are therefore present in Civilization VI. Firaxis Games also made use of their experience from working on the 2014’s Sid Meier’s Civilization: Beyond Earth. Sid Meier’s Civilization VI is a classical turn-based 4X strategy game. It was developed with both veterans and complete newcomers in mind. The latter can learn all the ins and outs in the extensive tutorial. While playing, we choose one of historical civilizations and then lead it to dominance (that can be achieved in five different ways) by shaping the politics and development direction throughout several thousand years. The first key novelty introduced in Civilization VI is the way we develop cities. Similarly to Endless Legend, they now occupy more than one tile on the map, and where the players want to establish new districts of their metropolis as its population grows it up to them. Districts are divided into four categories: industrial, research, commerce, and military. Depending on their location, they will give us additional bonuses; in case of an enemy city, they inform us of the role they have in the hostile empire. A production bonus is received if an industrial district is built on a mineral deposit, for instance. Additional money will be provided by a trade district built by the river. Military camps have a special role since they grant a walled city a bonus attack in a turn (similarly to Civ 5, cities can destroy enemy units on their own). Scientific development was also changed. The developers did not abandon the classical technology tree but decided to make it slightly more fun. Almost every invention has an assigned mini-quest that, once completed, will give us a 50% bonus to research in a given technology branch. In practice, this system adjusts to our playstyle. Founding our first city by the sea, we receive the possibility of fast naval development practically right from the start. On the other hand, a civilization in the middle of the continent will have considerable difficulties with researching naval technologies but can be better specialized in agriculture and mining. Military conflict is an important part of every game. Sid Meier’s Civilization V introduced a drastic change that made it impossible for more than one unit to stay on a single tile. Sid Meier’s Civilization VI somewhat mitigates this restriction, making it easier to move our armies through the map and adding another strategic aspect to the game. Support units, such as siege towers, cannons, or antiaircraft artillery, can be now attached to a standard unit. Similar protection can also be provided to settlers and workers. This isn’t everything, though— two identical units can be joined in a group called a formation. As technology progresses, we can assign a larger number of soldiers to it, thus creating divisions and armies. They behave just like a single warrior but have the combined strength and defense of all subordinates of which they consist. Diplomacy was also subject to significant changes. Each computer-controlled leader now has certain agendas (behavior patterns) that influence his internal policies and relations with neighbors. The first is constant and is a direct result of his character, while the remaining two are hidden and randomly assigned. We can discover them with the use of spies or by careful observation. For example, if an enemy obsessively builds new World Wonders and our empire is better at it, he will try to interrupt us or to conquer the cities that contain the necessary unique buildings. Apart from the single player mode that can be adjusted to our liking by setting the size of the map, amount of raw materials or opponents, Sid Meier’s Civilization VI for PC and iOS also offers several multiplayer modes. Sid Meier’s Civilization VI is powered by a completely new engine developed with modern PCs in mind. In accordance with the series’ tradition, the graphics are colorful and both leader portraits as well as character models bring classical animated movies to mind. The Sid Meier's Civilization VI guide contains a complete set of information explaining all the rules of gameplay in Civ 6 and Gathering Storm. It recommends the best strategies and describes the characteristics of each of the nations. Does Civilization VI offer more at launch than Civ V did? Definitely. This doesn’t mean, though, that the developers managed to top Civilization V with all of its expansions – they almost did; except “almost” makes all the difference in this case. Having spent 25 hours with the alpha version of Civilization VI, we’ve decided to prepare a short summary of the most important changes in the latest part of the cult cycle. Is it crazy to travel halfway across the world just to play a game that will be released this October for a mere hour? Perhaps. The question is: was it worth it? The long-awaited new Civilization, the sixth installment in the series, will be released this fall. In order to learn more about the most important innovations in the gameplay, we’ve interviewed the developers from Firaxis.